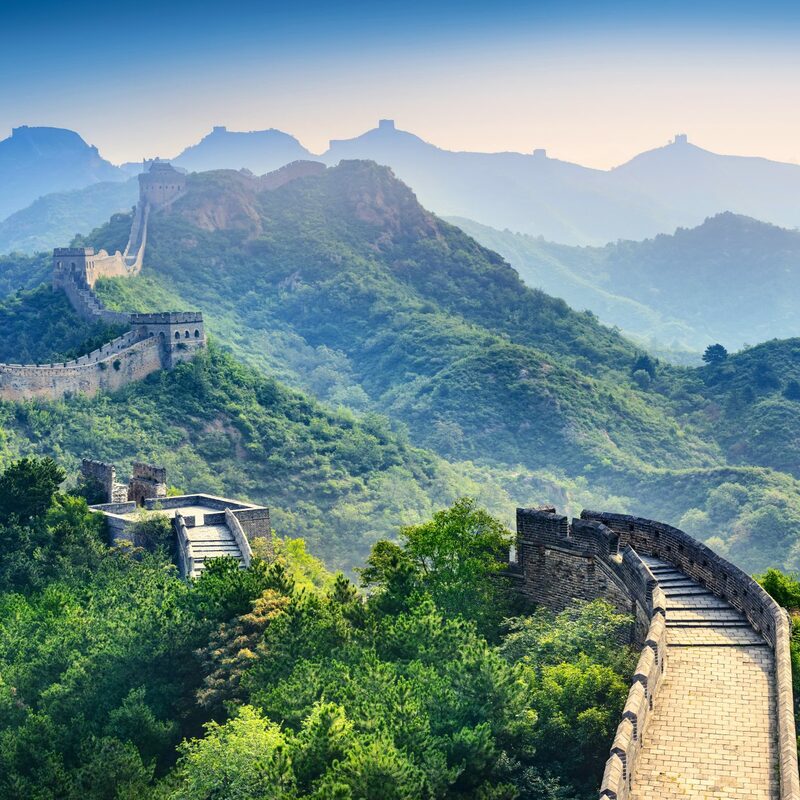 An iron gate gives way to a secluded complex, one that feels worthy of guests of royalty (this was, after all, once the guest house of a king). 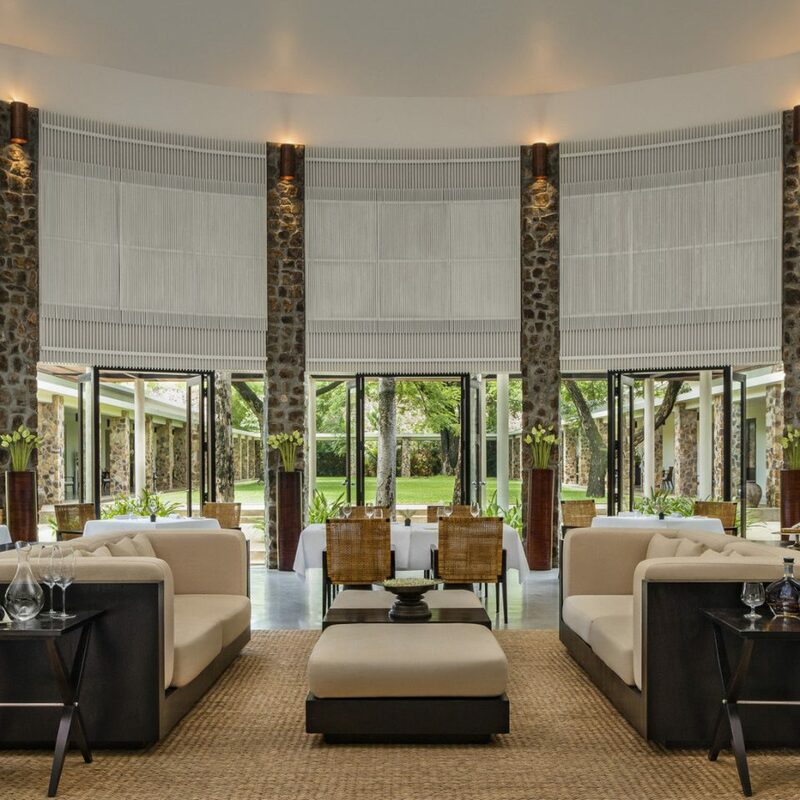 Inside, the aesthetic is classic, minimalist Aman. 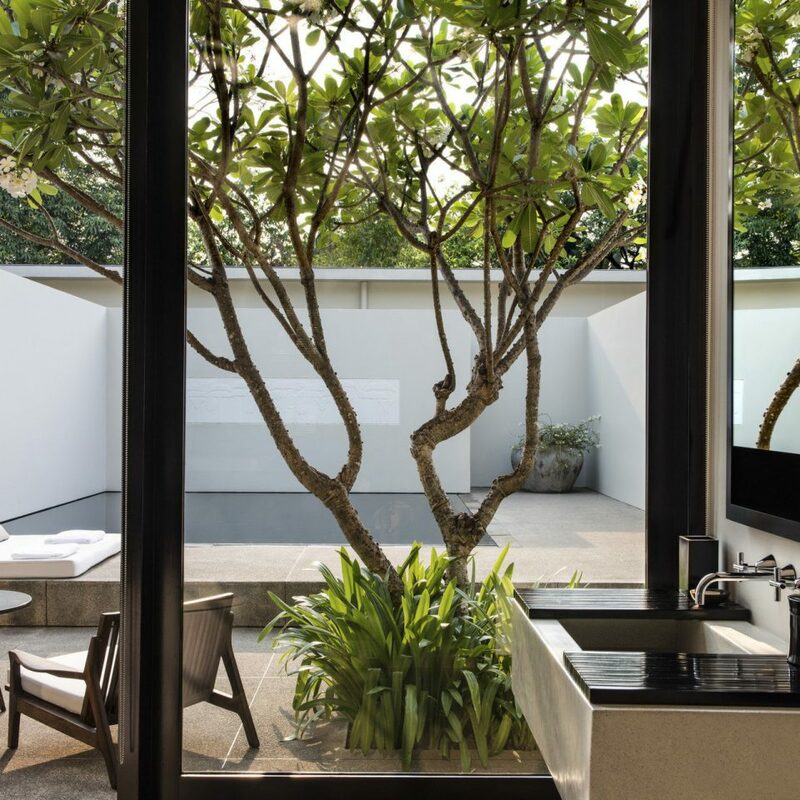 There’s sandstone reliefs depicting the temples of Angkor Wat, the occasional vase of flowers, plenty of notes from nature like dark wood and terrazzo—and little else. Though the result is tranquil and laid-back, the service (there’s five staff members for every guest) doesn’t miss a beat. 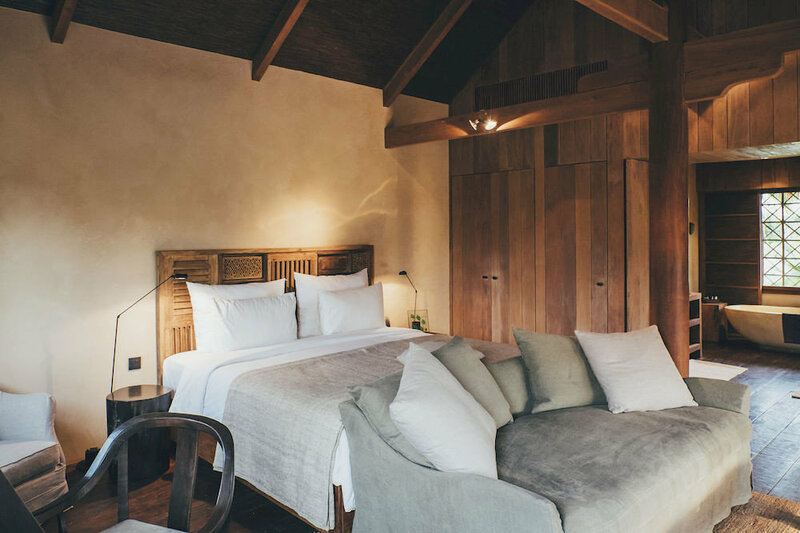 You’ll find a perfect balance of style and substance in each of the 24 open-plan suites, with combined sleeping and living areas and floor-to-ceiling glass doors. 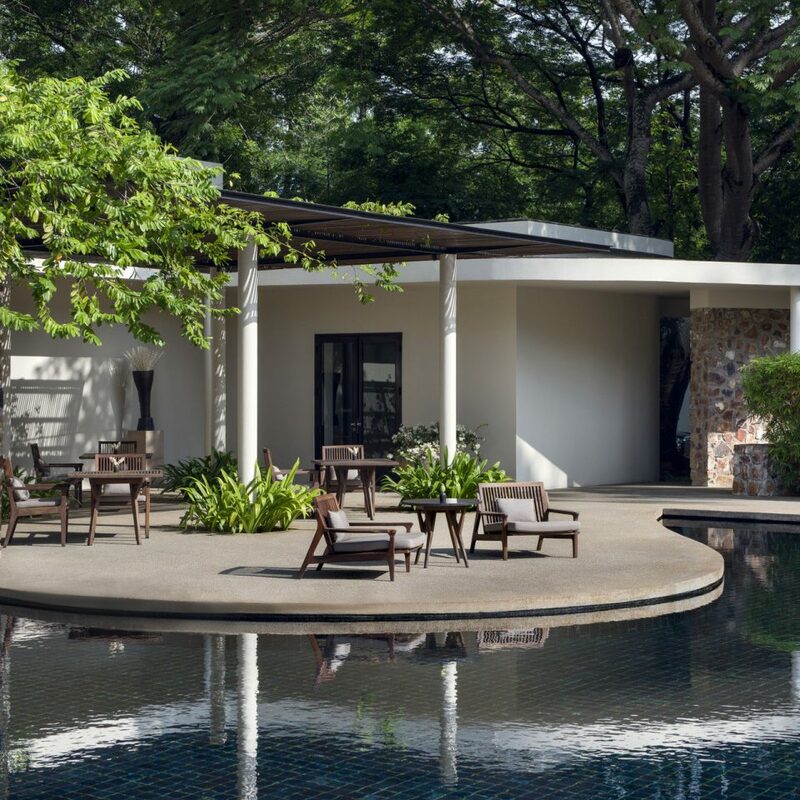 The courtyard suites have secluded gardens with reflecting ponds and sun loungers — though, with the Cambodian heat, it might be worth booking a pool suite to cool off as fast as possible. Inside, it’s all clean lines and elegant furniture, but not too much of either: a wide bed, free-standing bathtub, and free mini-bar go a long way. Jacqueline Kennedy, Peter O’Toole, and Angelina Jolie all found solace within the grounds of the estate—perhaps owing to its winning combination of seclusion (slightly away from the main streets and nighttime noise) and location (it’s just five minutes from the gates of Angkor Wat). 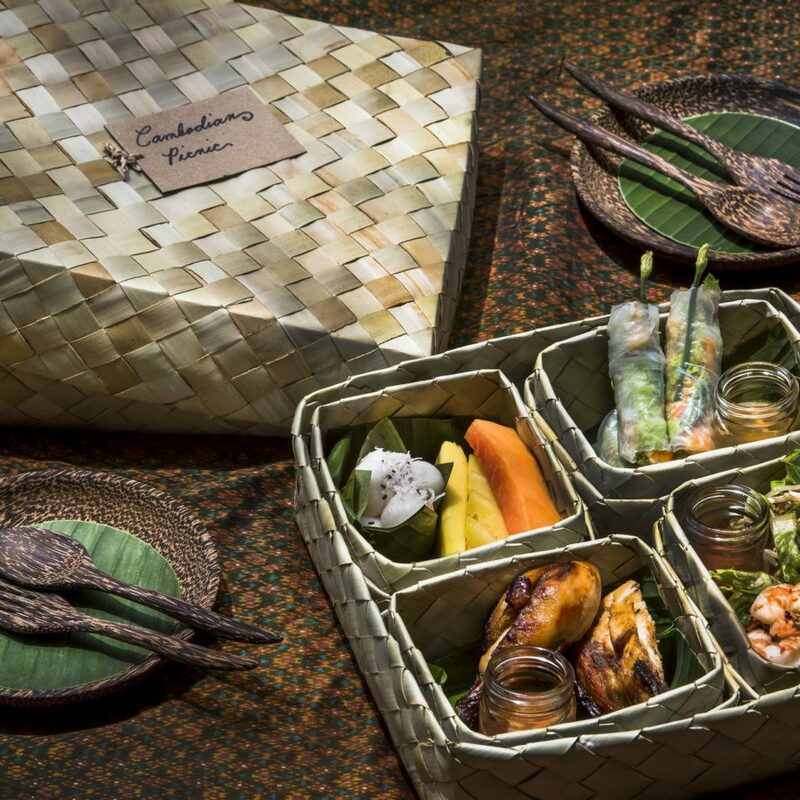 Even Amansara’s restaurant, with its fabulously soaring ceilings and market-driven menu, seems designed to enable guests to eschew the hustle and bustle of Siem Reap. 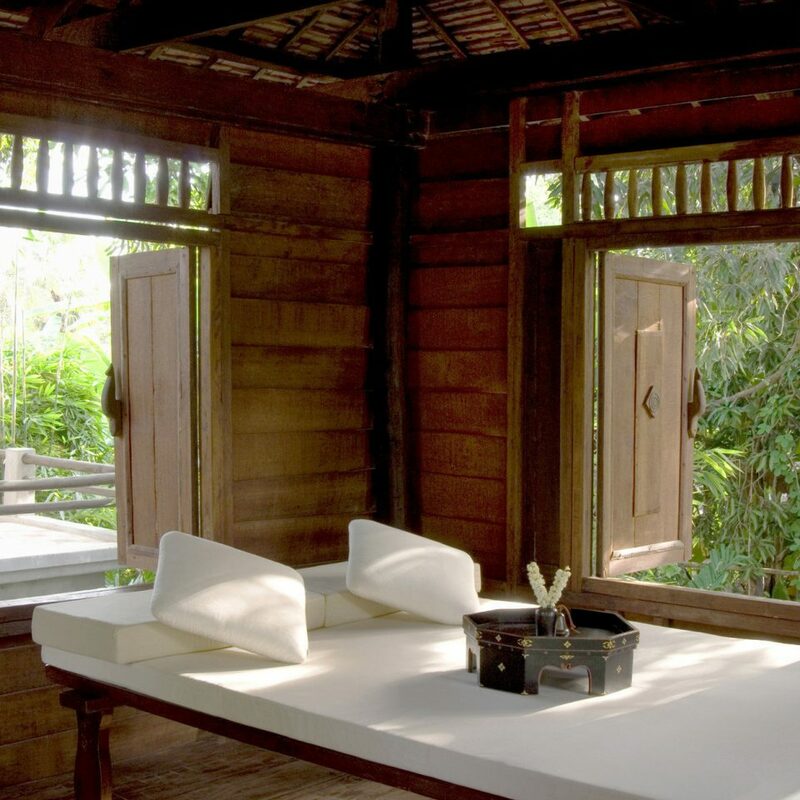 The spa, with its locally inspired treatments that use Cambodian clay, herbs, and rice, begs for repeat visits. Nearly 99% of all visitors to Siem Reap come for Angkor Wat, where they spend up to a week touring the temple’s astounding Khmer ruins. 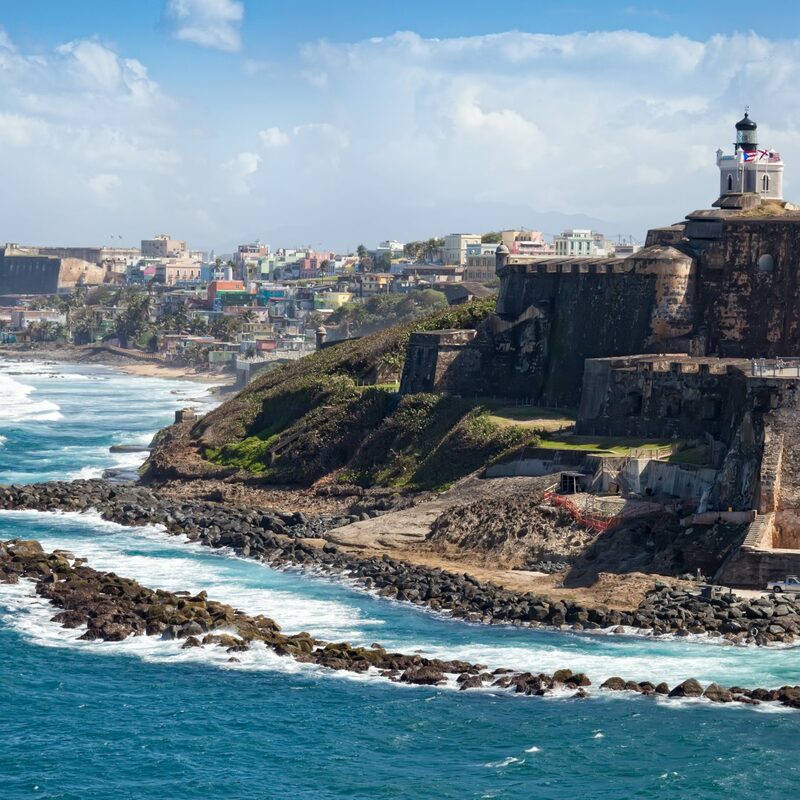 But the city itself, bursting with restaurants and bars, is also worth exploring – a great option for international tourists looking to let loose after hours of sightseeing. You’ll find the action along the main strip, Pub Street, as well as at the Old Market, which operates during the day as well as at night. 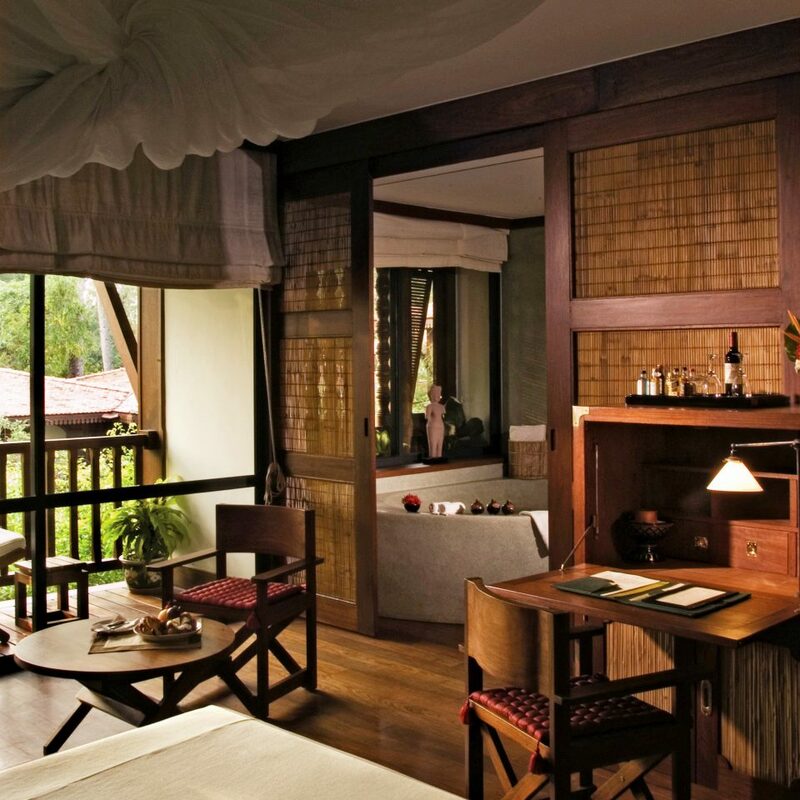 Typing this review at the end of our stay in Siem Reap Cambodia. 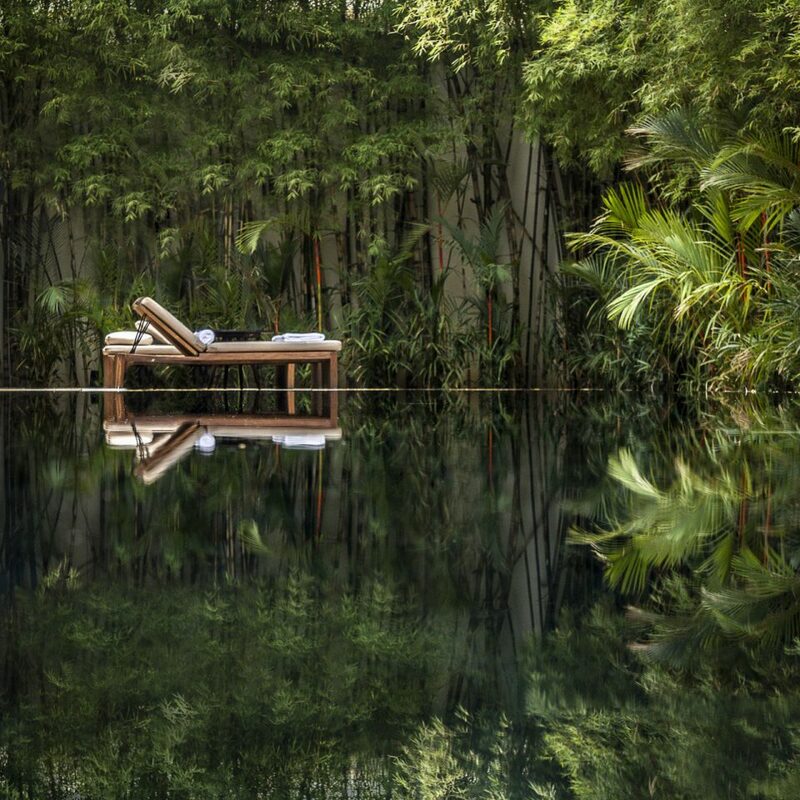 Once again our stay at an Aman Hotel exceeds our expectations. My wife and I travel extensively on our journey to 100 countries together...with Cambodia being number 75 on our 30th anniversary. We always stay at luxury hotels...typically small and intimate. I can honestly say that the seven Aman Properties we have stayed at all rank in our top 10 hotels. And Amansara now joins that list! 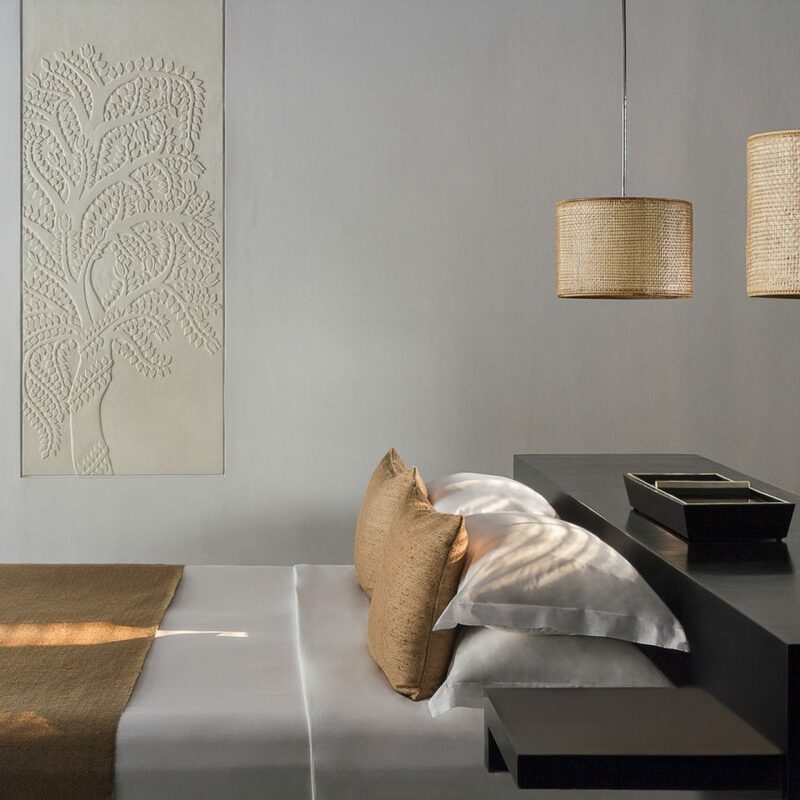 The Amansara property location is ideal for visits to Angkor Wat and other archeological sites in the area. This property is far better than any of the other hotels in the city. The property is very quiet offering very large soundproof private rooms and public areas in the heart of a very fun and busy city. The guided service to Angkor Wat is well worth the price. Our fantastic guide for four days spoke and understood English well. And just as importantly his expertise, training, enthusiasm and honesty for his country’s history is contagious. Transportation is truly unique. Picked up at the airport and efficiently ushered through immigration and customs only to have a vintage 1931 Mercedes limousine that once belonged to the king drive us to the hotel was a nice start. We have subsequently been given transport in a classic military jeep, a “tuk tuk”, and a brand new air conditioned luxury SUV for our longer excursions. All professionally and courteously driven. Food? Always great and served in your choice of a wonderful restaurant, outside by the pool, or in a picnic basket for trips to the archeological sites. Both typical western fare and traditional Khmer fare are offered, vary day-to-day, and never failed to please. And the wonderfully customized 30th anniversary desert was really as they say “icing on the cake”. But the biggest differentiator of Aman hotels to me has always been the “staff”. 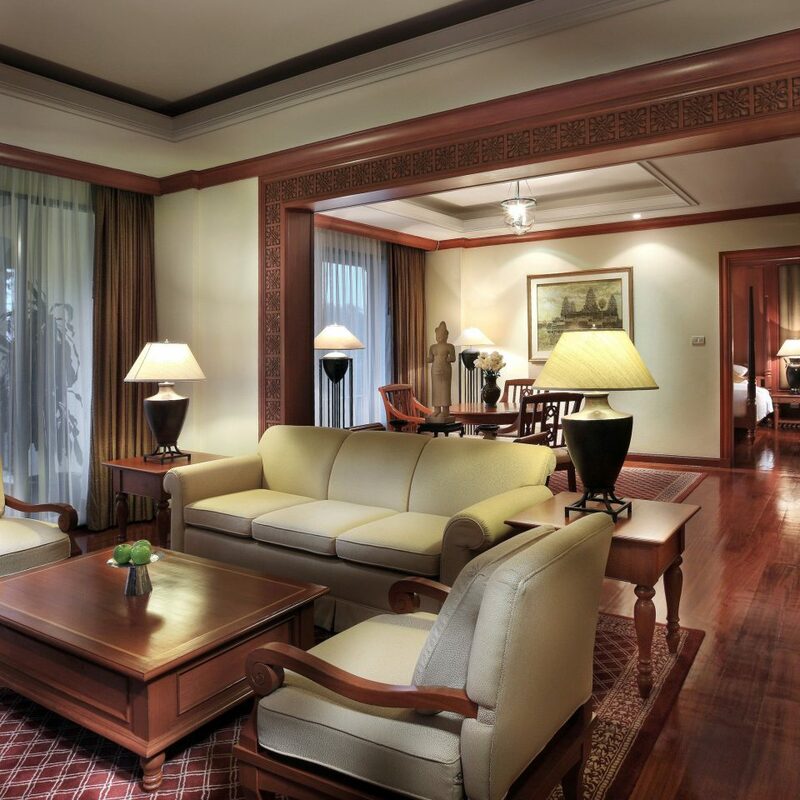 I hate to use the words “staff” and “service” when describing Aman hotels. From the moment we were greeted at the Siem Reap airport we were referred to as “bong Eric” and “bong Kimberly”...an affectionate Khmer term meaning brother and also generally applied to a woman meaning sister. You truly feel as if you are part of a large family. 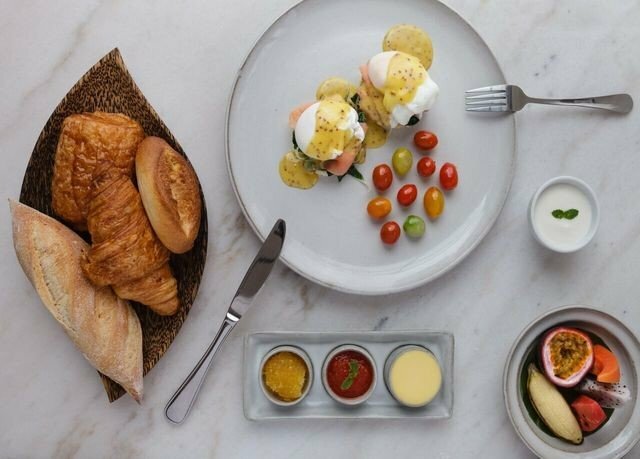 And in these days of employee exploitation it is wonderful to see the full Aman staff being treated with love and respect as full peers in a close family. Everybody from security to the general manager at Amansara great you and themselves with happiness and care that again is truly contagious. 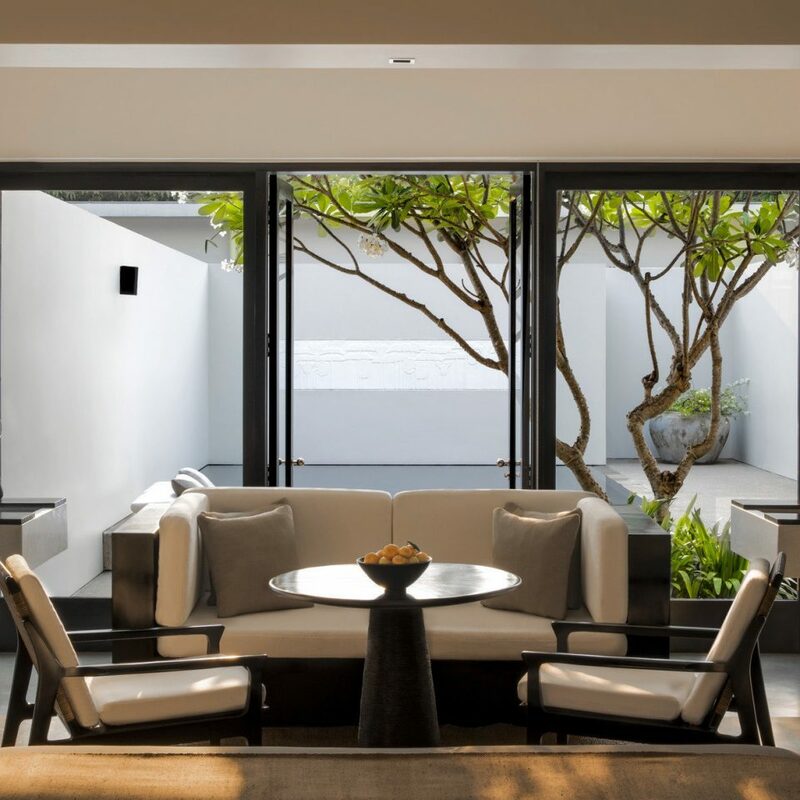 Guests become more interactive with each other as your Aman family grows. 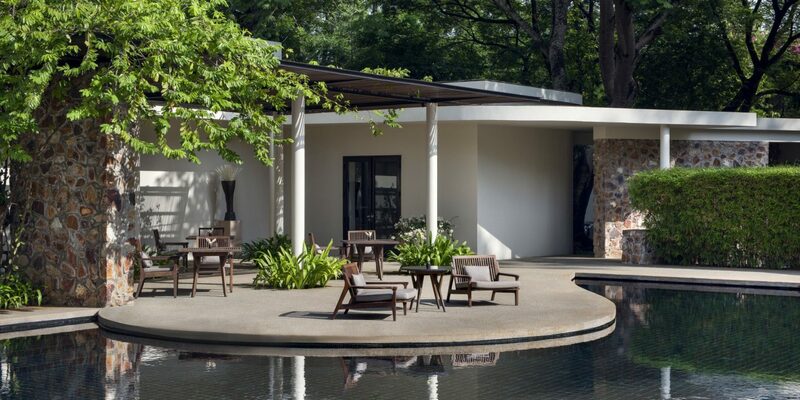 We have met many people at Aman properties over the years that we continue to interact with after we left and have found even more friends during this stay at Amansara. 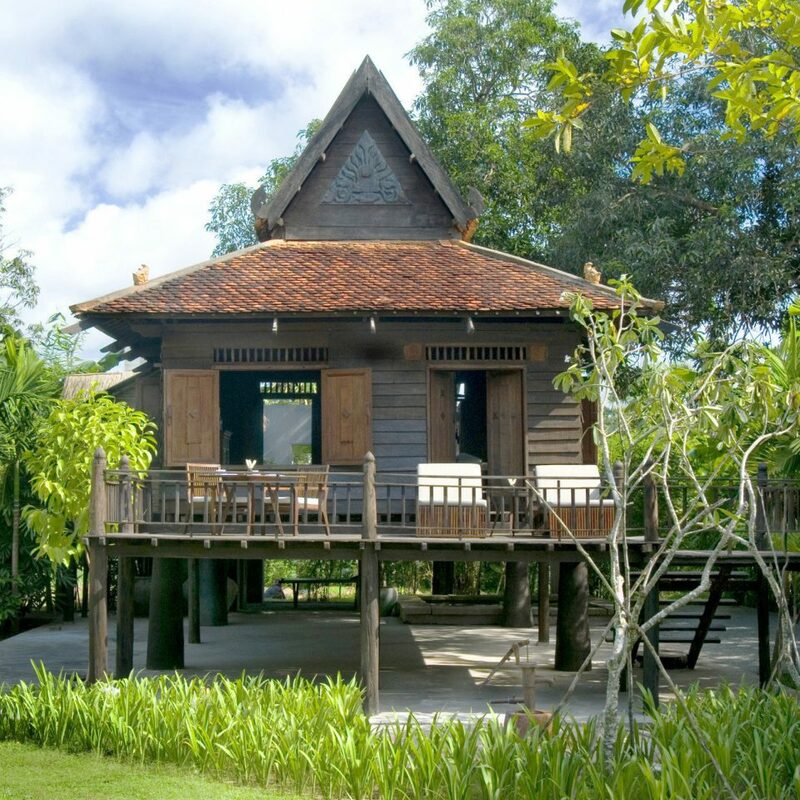 Aman...thank you for sharing your Siem Reap property and family. It truly made our stay in Cambodia something we will always cherish! of service. Each time we enjoy a cup of tea or meal in the beautiful pottery I am reminded of Amansara. Thank you Astrid & team! While we were staying at the property our experience was perfection as well. We were traveling with our two young children, an although it was a luxury property not designed for families, they went out of their way to accommodate us. I felt as though we were staying at the private residence of a high government official - we felt secure, private and the level of service was impeccable. We also highly recommend booking tours and activities through Amansara - our temple tour guide was fabulous...and knew all the tricks for avoiding the crowds. 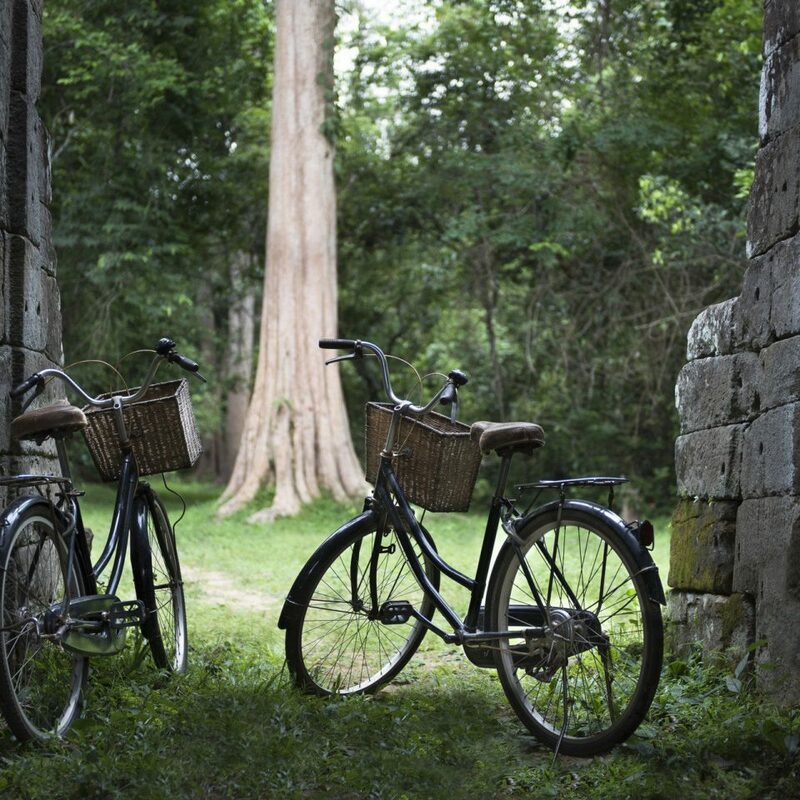 He even coordinated special mountain bikes with seats for the children so we could bike to the temples and the jungle....wonderful family adventures and memories! We will return again soon I am sure of it. 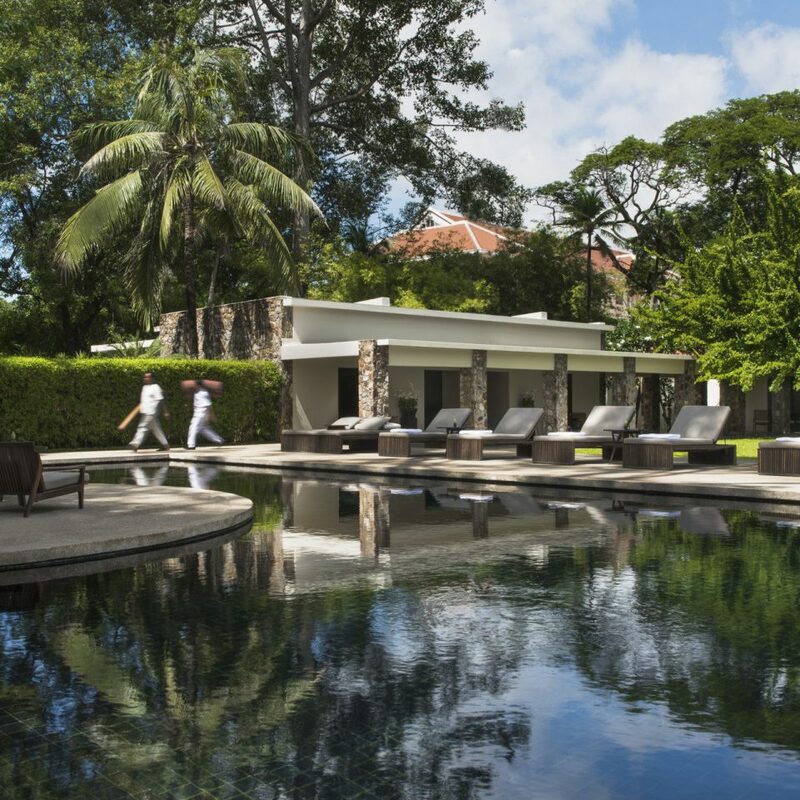 Thank you Amansara! 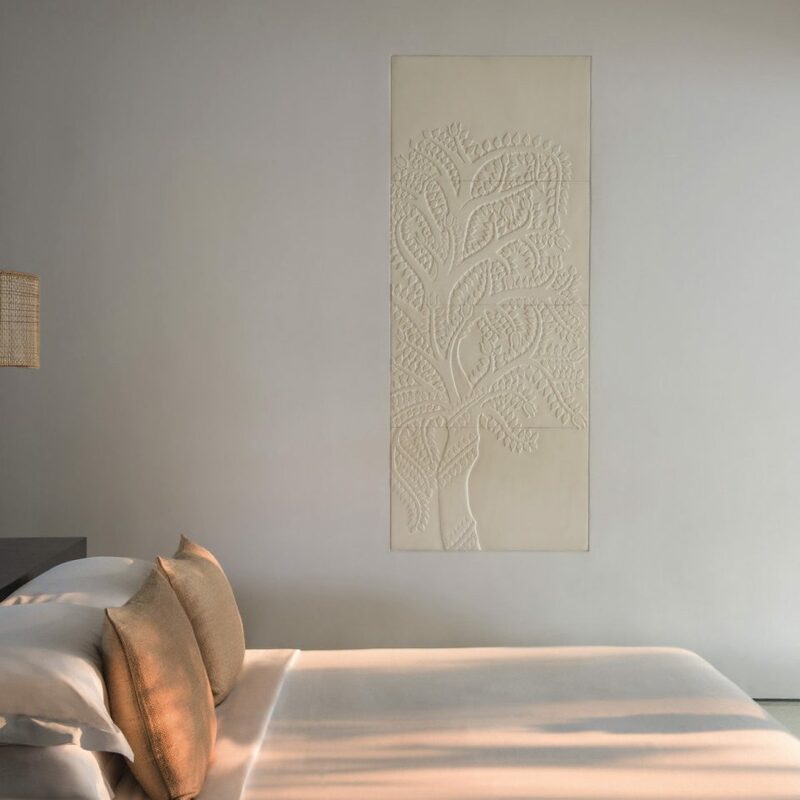 I did not know what to expect about Siem Reap or the Amansara- it was part of our first trip to Asia and it was a last minute add-on. Amansara was incredible in every way. The place is beautiful- every detail is thought out. The decor is so calming and something you would want to live in. From the minute they pick you up at the airport until they are all waving good-bye when you leave, the service is the star. They think of everything. I have never had things thought of before I even knew I needed them. Pillows in the car for napping when you get in after lunch, so many cold towels waiting, your remork and driver waiting to drive you to and from dinners out, constant but unobtrusive and impeccable service at every turn-- and they are all so happy and friendly and genuinely kind. We were in temples hours before the public, we had access to places no one else has.... it was just remarkable. 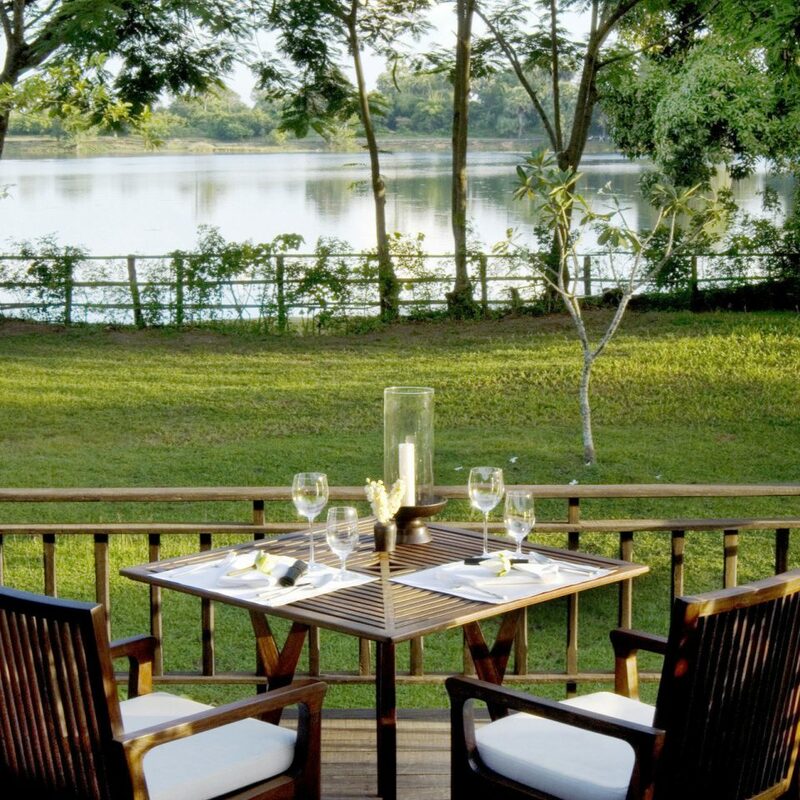 We loved it so much that we came home and started booking trips where there are Aman Hotels. Highly, highly recommend. It is true that Aman is very expensive. But they really offer a different service and keep finding new ideas to be different from other places. The experience starts at the airport where they come to take you at the gate and through the police ans customs formalities, to be sure you do not lose time. Then they drive you to the hotel with those fancy old Mercedes. Visiting Siem Reap is of course about Angkor. 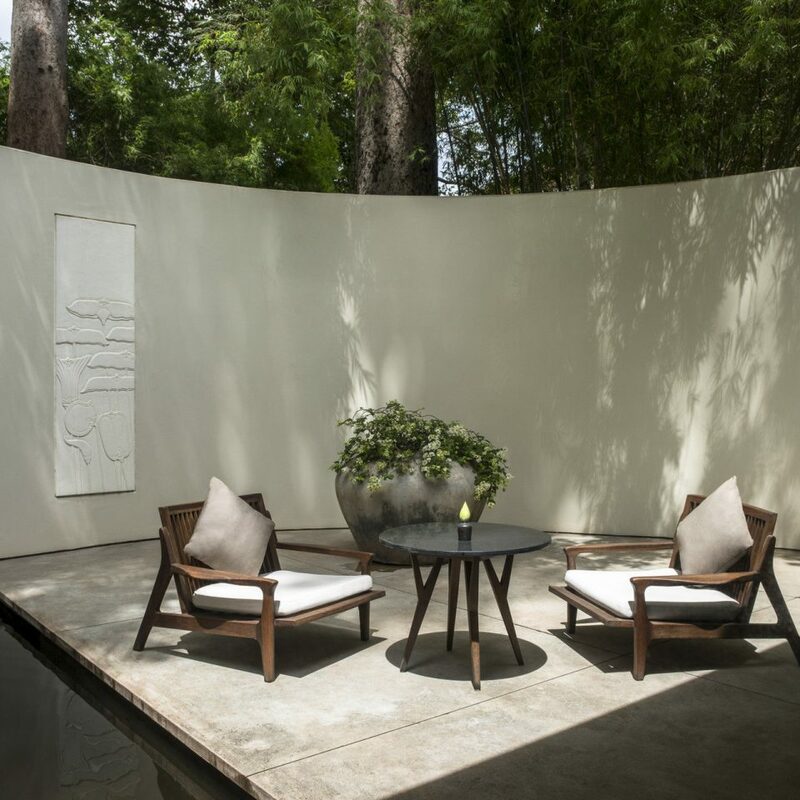 At Aman you can be sure you will get the best advices about how to visit, at what time, what temples, through which access, with what vehicle, in which order, so that you get the best visit. You could even be alone in some places (a sort of a miracle in Angkor). Some excursions are exclusive for Aman such as the sunset boat trip on the new reservoir to reach the water temple. We were traveling as a family, including young kids. Aman was very helpful with the children, so was our guide during the visits, really taking care of them so that they do not get bored. 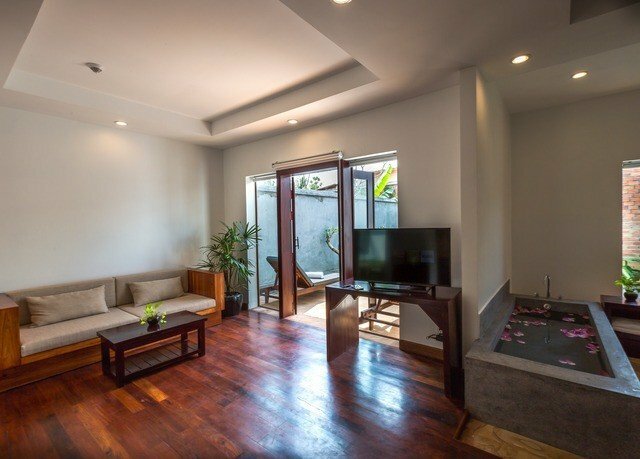 Rooms are huge and comfortable, although not luxurious (especially the cupboards), the restaurant serves very good food, Cambodian or international and this must be mentioned since it is certainly not easy to find high quality products in Siem Reap. The 1962 Mercedes sedan approaches the entrance to Amansara; you are met by your Amansara family who greets you with the phrase,Chum Reap Suo. Welcome home. Thany escorts you to your room and presents you with a custom, proposed itinerary of tours which you are invited to modify to your tastes. We stayed in a pool suite which was beautifully appointed in a French 1960s style. Romain hosts the dining room where there are Khmer and Western cuisine choices; the food is delicious and well-prepared. 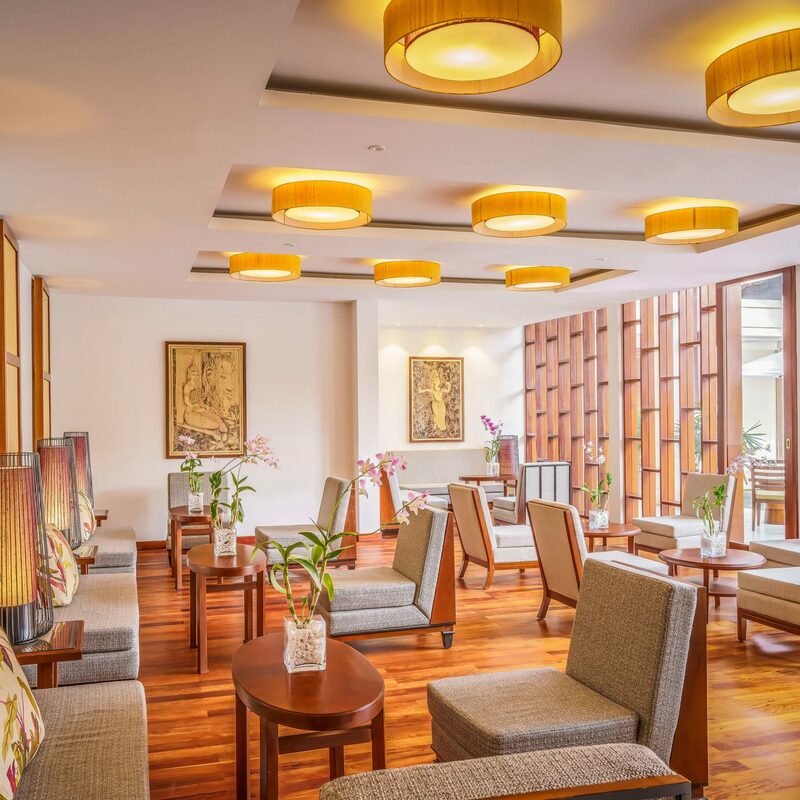 The warmth and friendliness of the Cambodian staff shines through; any request is met with a smile, and each staff member persists until he or she recognizes that you are satisfied.